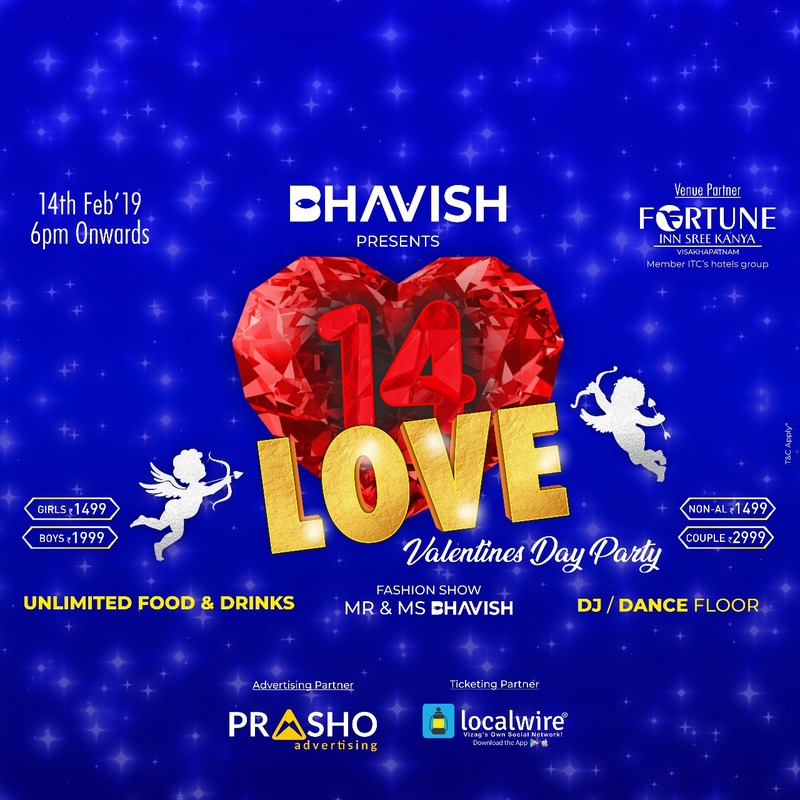 One of the best & the most popular event company "Bhavish Entertainment" is organizing the Valentines Day Party with unbelievable packages at Fortune Inn Sree Kanya, ITC Group, Visakhapatnam. This is going to be a memorable musical night for Singles as well as Mingles by the famous & popular DJ because DJ is not about choosing few tunes it's about creating memories for life by generating moods and understanding feelings. For the first time in "The City Of Destiny" Visakhapatnam we are offering participants to WIN surprise gifts from BHAVISH by stepping on the dance floor, Fashion Show, participating in thrilling games & fun activities. 6. No Personal Request Songs will be played. 7. Age Limit: Open for all. 8. Tickets once booked cannot be exchanged or refunded. 10. Illegal activities such as narcotics, gambling, trafficking etc. are strictly not allowed and miscreants will be handed over to the police. 11. Re-entry strictly not allowed. 12. Management will not be held responsible for any loss of belongings/valuables. 13. Any damage to the property of the hotel will be recovered from the concerned person. 15. Kids Should Accompany with Adults.